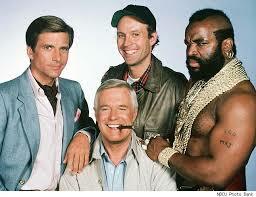 The original A-Team. Even Bradley Cooper can’t make up for the loss of Mr. T and George Peppard. An A-Team has the right skills, availability, and connections to make a project a success. Any objective review of their job description and network would clearly mark them as the right people to be involved. Personality matters too. Projects can be fun if you mesh with client team. Perhaps you all drink Tim Horton’s, or Starbucks. Or can happily tolerate divergent tastes in coffee. The quality of the team may not be immediately apparent. By the end of the Discovery phase, and after you have met all the team members, you should have a better idea where you stand. Pay careful attention when the A Team isn’t assigned. Most of the content on this site is designed to help you get to great outcomes when not all of the team members are A-Team level. Are there Team Members in Stretch Roles? Managers do three things: deliver work, retain staff, and grow team capability. Growing the team’s capabilities means challenging individual team members with more responsibility by assigning them to projects that they aren’t quite ready for. In these cases, the vendor team should see the quality of the output improve as they learn, and receive support from their manager. Sometimes, the internal project sponsor sells the project hard to the vendor and as a result, the vendor misjudges the project’s value to the organization. On the bright side, deadlines, even the launch date, could have some slack. There is nothing wrong with working on a lower priority project. All good companies prioritize work and make sure that the best people are assigned to the right projects where they can have the most impact on achieving the organization’s goals. Your goal now, as the vendor, is to knock this one out of the park and guarantee your place on higher priority projects. Use the Project Discovery phase to look for additional benefits, risk mitigation, and/or more potential for cost reduction than was estimated initially.